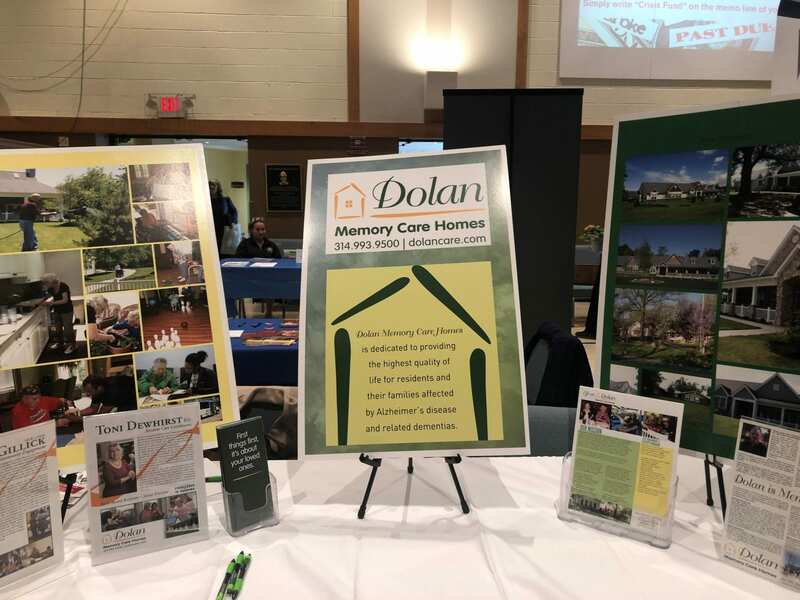 For the first two weeks in April, Dolan Memory Care Homes had the pleasure of participating in two senior resource fairs located in Chesterfield and Florissant. Dolan partnered with Chesterfield Parks, Recreation, Arts Department and Memory Care Home Solutions. The goal of the fairs is to provide information and resources to seniors who age in place in their homes or considering senior living options. Dolan visited with over 400 individuals in the community! Arming the community with resources to help seniors stay safely at home is a priority of Dolan Memory Care Homes.